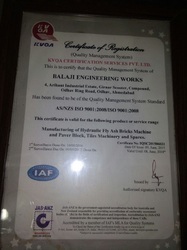 Established in the year 2009, we, “Balaji Engineering Works”, are an ISO 9001:2008 Certified Company and engaged in manufacturing and trading a wide range of Brick Making Machine, Block Making Machine, Paver Tiles Making Machine and more. 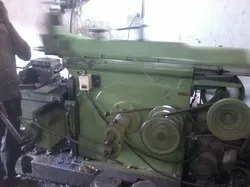 In addition to this, we offer Scrap Cutter Shearing Machine, Roller Type Pan Mixer Machine. We manufacture these products using optimum quality raw material and latest technology at our production unit. The machines offered by us have demanded their features like hassle-free performance, low maintenance, easy operations & installation, durability and high efficiency. Owing to the above-mentioned features, these machines are used in construction, automotive and engineering industries. Our strong commitment to excel in quality and cater to the individual customer's demands have enabled us to stay ahead of our domain counterparts. We take all possible steps to meet the qualitative as well as quantitative demands of our clients within the shortest time possible. 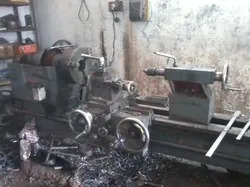 To fulfil the same, we have established state-of-the-art infrastructure, which is equipped with hi-tech machines and other resources that are required in the manufacturing process. The unit is efficiently managed by a team of professionals, which possesses in-depth knowledge and experience of this industry. Our team members work in cohesion with the clients to manufacture and provide the products exactly as per their requirements. Further, we continuously adopt innovative technologies and techniques to become the foremost choice of our nationwide clients. The researchers working with us conduct extensive market research and suggest cost-effective production techniques to the manufacturing team. A team of quality controllers has been appointed by us, which checks each and every product on varied parameters before final dispatch. Owing to our total quality management and wide distribution network, we have been able to gain a good reputation across the nation. Under the able guidance and leadership of our proprietor, 'Mr. Sonu Dayma', we are able to grow by leaps and bounds. 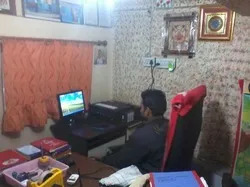 Owing to his entrepreneurial skills and sharp business acumen, we are able to extend our business operations in different regions of the nation. He possesses years of experience, which consistently assists us in improvising our existing procedures and policies. A sound and sophisticated infrastructure facility have been developed by us at Ahmedabad, the leading metropolis and industrial hub of Gujarat. We have partitioned our unit into different sections including manufacturing, assembling, research & development as well as testing. This segregation helps us in executing all the business operations in a streamlined manner. We owe the success and achievements earned by us to our team of dedicated professionals, which holds specialisation in their respective domains. 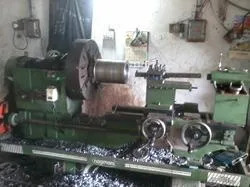 The members of our team are proficient in using latest technology machines and equipment that are needed in manufacturing our range of Brick Making Machine, Block Making Machine, Paver Tiles Making Machine and more. Our production engineers work with integrity to offer the patrons with products that are at par with their expectations. They utilise all the resources in an efficient manner and ensure minimal wastage and low production cost. Further, to keep them updated with the advancements and brush up their skills, we organise workshops and discussions on regular basis.